POCA and PCA– what’s with all this alphabet soup? $10 treatments at PCA this December! A free birthday treatment you can use any day of the year! 3 free first treatment cards that can be used at any POCA clinic to share with family and friends! 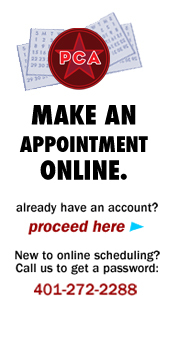 No new patient fee at any POCA clinic! Check out POCA’s website for more info about how to join, be part of the community working to get more people more acupuncture, and treat yourself to $10 treatments at PCA all month long. What’s not to love?